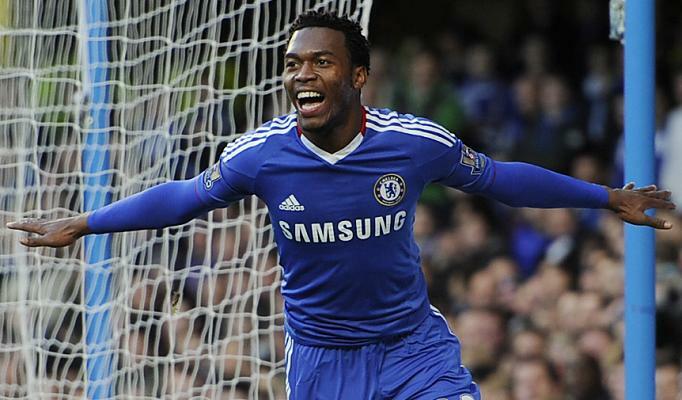 Andre Villas-Boas admits Daniel Sturridge may leave Chelsea on a season-long loan. The new boss has revealed the striker could spend the new campaign away from Stamford Bridge as he continues his development. Speaking ahead of Chelsea's pre-season tour of Asia, the Portuguese said: "This is one of the decisions we have to take. Daniel is a very, very interesting player with a tremendous future and is highly regarded by myself. I have 15 days in Asia to make the best decision and I need those four games to continue to assess." But according to North-East paper the Sunday Sun, Alan Pardew will tempt Villas-Boas with a loan offer taking Sturridge, 21, to St. James Park. The former Manchester City forward has recently returned from a successful season-long loan at Bolton, netting eight goals in 12 appearances, and is thought to be determined to force his way into new boss Andre Villas-Boas' plans. But Pardew is desperate to snap him up after being snubbed by Turkish striker Mevlut Erdinc. Newcastle have been quoted £20m to buy Sturridge and that is unrealistic for a club which has to sell in order to buy. However, Bolton, Stoke and West Brom have all declared an interest too.